The College Board released a big document today that fills in some of the blanks about the new SAT, which will make its debut in March 2016. I woke up early to dig though it like a little kid on Christmas morning. Rather than trying to jam all my reactions into a single monolithic post, I’m going to be making frequent, short updates as I read more, and my reactions evolve. In this post, I’m reading and giving my initial reactions to the part of the document that pertains to the math section. The math content begins on page 133 of the document if you want to follow along. 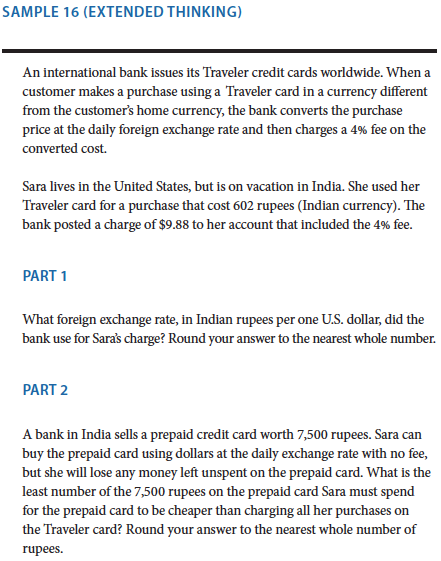 As we’ve known since March, the new SAT will test students on three somewhat vaguely defined areas: Heart of Algebra, Problem Solving and Data Analysis, and Passport to Advanced Math. We now know that in addition to the main Math scores on the 800 scale, students will receive subscores in each of those topics. 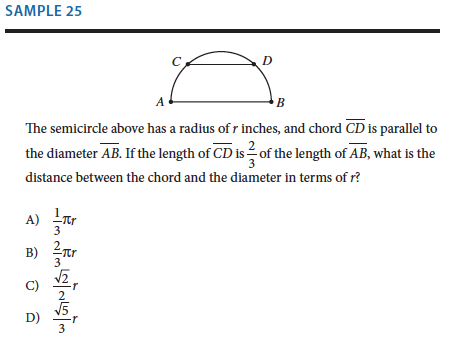 College Board also reveals that the test will contain questions on Additional Topics in Math that won’t contribute to the subscores of the three main sections, but will contribute to the overall math score. This, apparently, is where geometry will live. Page 135 of the College Board document contains a breakdown of content specifications. The math section will consist of a calculator section (55 minutes, 37 questions) and a no-calculator section (25 minutes, 20 questions). The calculator section will consist of 30 multiple choice questions, 6 short grid ins, and one extended thinking grid-in, which will be in the Problem Solving and Data Analysis category, and which will be weighted more heavily—4 points instead of 1. 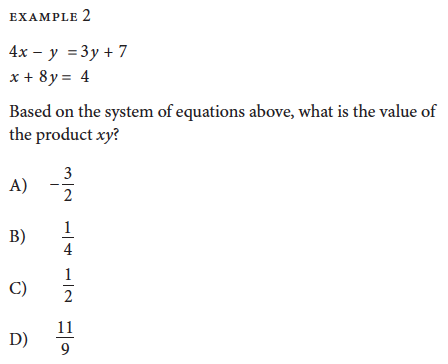 The 20 question, no-calculator section will be all multiple choice. All told, the new SAT’s math section will consist of 80 minutes of testing on 57 questions—10 more minutes and 3 more questions than the current SAT. Any value in that range works. No simple way to get xy there—you actually have to solve for each variable individually. Also, four answer choices instead of five? WHAT IS HAPPENING!? So…fun, right? No. Not fun. Soul-suckingly boring. But I’m not really complaining; the ability to solve linear equations is important, and in my experience a lot of students need to be reminded how to do it by the time they reach SAT-taking age. This is a good change. You can do a lot of algebra to shoehorn this into y=mx + b form, but nimble students should be able to look at the original equation and see two things: 1) there’s no term, so (D) is out, and 2) there won’t be any constant terms—the y-intercept is 0, so (A) and (C) are out. Awesome question. Super-rough estimates are good enough here—the manatee population was about 1,000 in 1990 and about 4,000 in 2010. That’s a 3,000 manatee increase in 20 years. = 150 manatees per year. Yikes, right? Questions like this will be worth 4 points, and should serve to silence everyone who says the new SAT will be too easy compared to the old one. Round that to the nearest whole number and the answer to part 1 is 63. Now on to part 2. Take a deep breath. We can do this. Umm…yeah. This is a hateful question. To get it right, you need to recognize that the units of each term are jobs per hour, and that the equation is set up by someone trying to solve a question that’s not actually been asked: How quickly could each printer do the job by itself? Solving gets you x = 15, which means the slow printer works at a rate of 1/15 jobs per hour, and the fast printer works at a rate of 2/15 jobs per hour. Once you’ve got that figured out, then the rest is easy—the answer must be B). 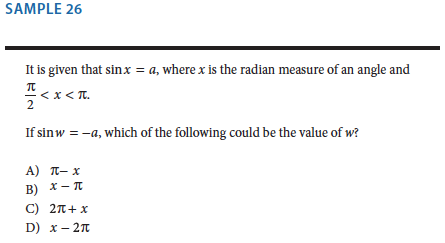 To get this one, just substitute (and pay careful attention—the SAT will still try to nail you by asking for but making x (or at least one value of it) a choice. 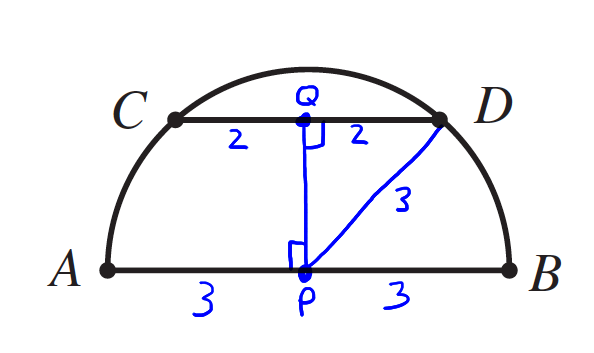 The whole of geometry from the current SAT seems to live under this category, too. 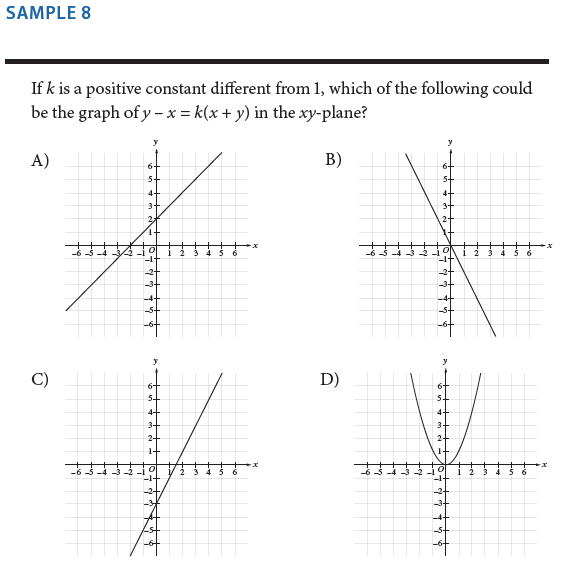 As noted above, this stuff doesn’t contribute to any of your math subscores (it remains to be seen how subscores will be used, but I’m guessing they’ll have limited value except for diagnostic purposes as students prepare), but will contribute to your overall math score. Only one answer choice has in it, so we can feel pretty good about (D) without even doing the last step of the plugging in process, which is to put 3 in for r in each answer choice. Of course, when you do, (D) is the only answer to give you . Above are just a few quick impressions. I’ll be posting more in the coming days as I’ve had more time to dig into the details. And of course, remember that if you’re prepping for the SAT now, you don’t need to worry about this stuff at all. The SAT doesn’t change until March 2016. For sample 8, you can also just plug-in. If k=2, then you end up with the equation y=-3x. 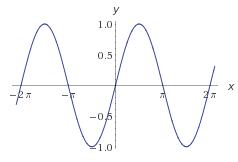 The only graph with a negative slope and a y-intercept of zero is B.
Hah! Digging through the 200-page document like a kid on Christmas? Love it! 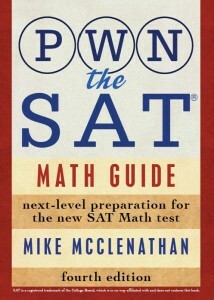 I’m actually looking forward to the new SAT, at least for math. I like how it deals with more mathematical fluency, without adding too many new concepts. Thanks for breaking down the new math sections. Not a fan of the impending verbal changes though – too much like the ACT now. Hey, Mike. 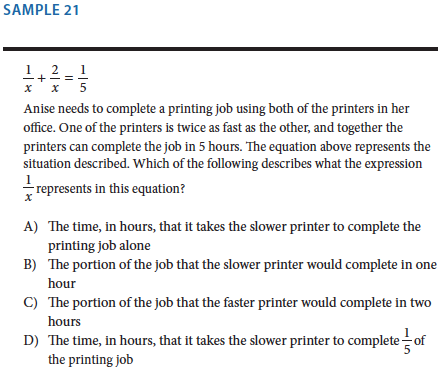 For Sample 21, it looks like 1/x and 2/x are obviously the old printer and the twice-as-fast new printer, respectively, and, since the whole job will take 5 hours, the 1/5 figure is the amount of (combined) work that can be performed in 1 hour. This translates to the 1/x figure representing the amount of work that the old printer can perform in one hour. Looking at it this way allows you to skip the 1/5 and 2/15 calculations completely & go directly to the correct Answer Choice.